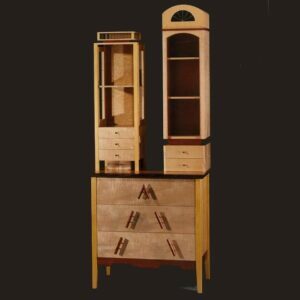 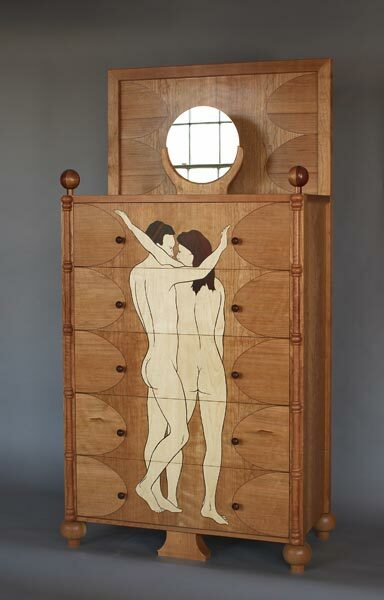 Marquetry bureaus: Stylized marquetry figures and parquetry drawer fronts. 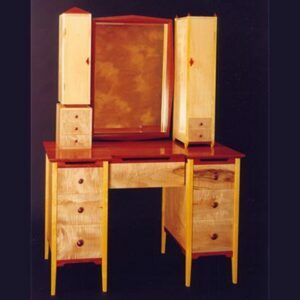 Cherry, pearwood, bubinga, rosewood, maple, wenge, pau ferro. 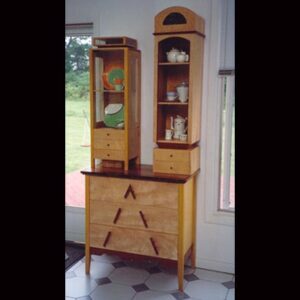 A collaborative design by Bill Hewitt, Silas Kopf and customer.